It’s already been a year. 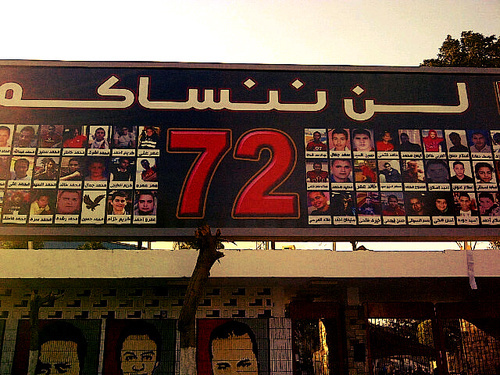 February 1st, 2012 – Al Ahly versus Al Masry – 72 people dead – Port Said, Egypt. It was what it was. Today marks the one year anniversary to the incidents. 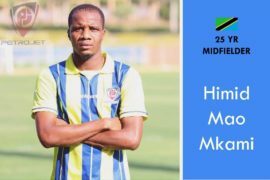 The memory of those was clearly visible as Al Ahly took to the training grounds prior to their game against Ghazl El Mehalla tomorrow. A mural exists with the pictures of the 72 people drawn on it. However, the saddest of it was that among the drawings, there were three white spaces. Three people who did not have the only legacy, they would have left, for the world to see. For two of them, there was not a single photo that was present. And for the third person, there was no identity. No one knew who he was and no one claimed his body. He lay in the mortuary until he was buried in an unmarked grave. All but one of the 72 had names under their drawings or at the end of the two white spaces. 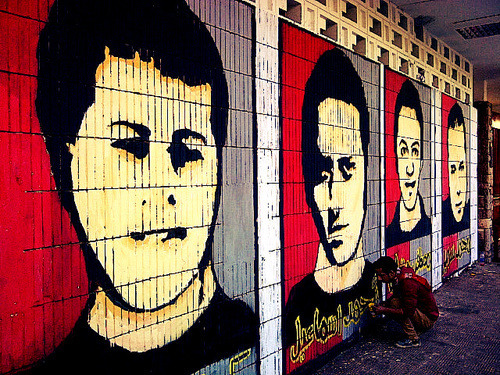 Under the person with no identity, the people of Egypt named him” the Martyr”.